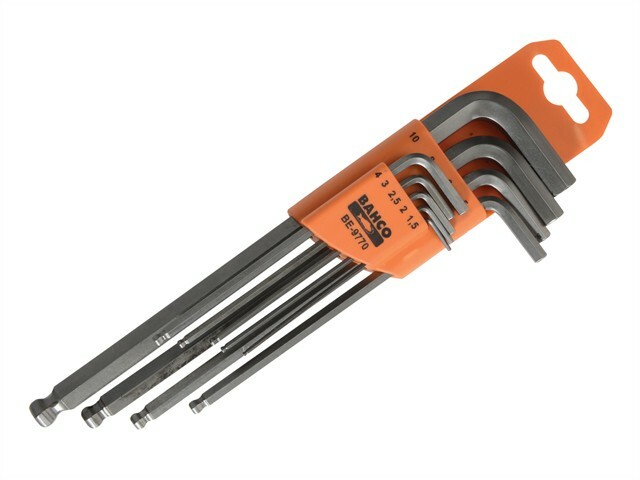 The keys are ideal for driving bolts and screws that have hexagonal sockets. Their long arms ensure excellent leverage , which makes driving easier. The set is supplied in a compact sleeve-case for instant selection of the required size. It allows easy storage, whilst keeping the keys together. The ball ends of the keys allow the keys to be used up to an angle of 30 degrees to the socket, whilst the hexagonal ends ensure an excellent fit into the screw/bolt head.